Banjara’s, a well known Indian Ayurvedic brand has recently launched the Samvridhi Hair Oil, endorsed by popular actress Tamannaah. This hair oil is formulated with 8 awesome natural herbs and 3 oils. It claims to promote hair growth up to 8cm in just 8 weeks. 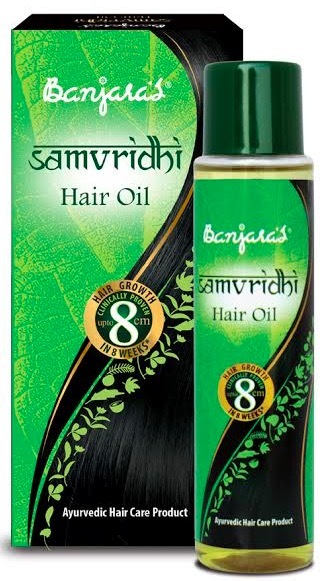 You can buy Banjara’s Samvridhi Hair Oil online from Flipkart.com. 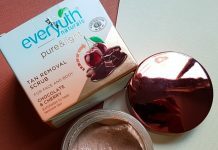 Enriched with 11 amazing natural ingredients like amla, methi, bhringraj, shikakai, hibiscus, brahmi, aritha, pippali, coconut, sesame and olive. This herbal hair oil helps to reduce hair fall, strengthen the hair roots and make hair smooth & strong. It promotes hair growth up to 8cm in eight weeks usage. The price of the Banjara’s Samvridhi Hair oil is Rs.299 for 125ml. 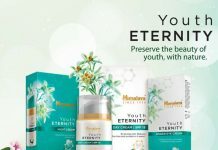 It is available across stores in South India as well as leading online shopping websites. Banjara’s, popularly known for their natural products, has launched its new range of Ayurvedic hair oil “Samvridhi”. Banjara’s Samvridhi Hair Oil is a unique blend of 8 vital hair care herbs and three herbal oils that is clinically tested and proven to reduce hair fall by 64% and promote hair growth upto 8cm in eight weeks usage. Popular actress Tamannaah has been roped in as the Brand Ambassador for Banjara’s Samvridhi. 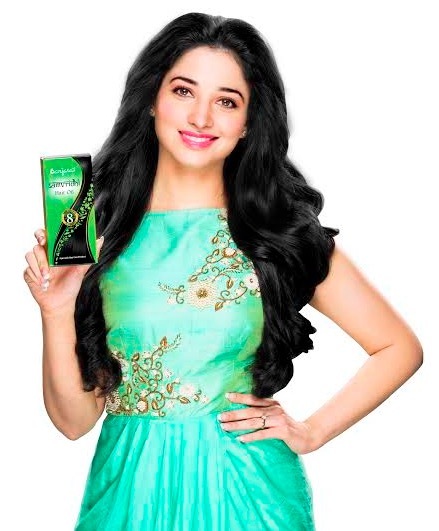 “I’m a staunch believer of Ayurveda for my well-being and am happy to be associated with Banjaras Samvridhi hair oil as it is natural and very effective” said actress Tamannaah. This Hair Oil is enriched with 8 vital hair care herbs including Amla, Methi, Bhringraj, Shikakai, Hibiscus, Brahmi, Aritha, Pippali in a blend of 3 oils – Coconut, Sesame & Olive. 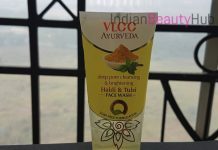 The oil is prepared as per the time tested principles of Ayurveda. Banjara’s Samvridhi Hair oil has been developed after extensive research and proven to reduce hair fall, strengthen the hair roots, make hair smooth and stimulate hair growth. It is a one stop solution for most hair problems. Banjara’s Samvridhi Hair oil is priced at Rs.299 for 125ml and is available across stores in South India as well as leading E-commerce portals.